There were many constants for me this summer. Begrudgingly rolling out of bed every day at 6 AM, relentless heat and humidity, crazy parents, and, of course, children. This summer, for seven weeks, I was a camp counselor at a local YMCA. Reflecting on my experience, I think about all the times I complained and how close I was to quitting after three weeks. It was a lot of responsibility and repetition mixed with some stressful unpredictability, and at some points I just couldn’t take it. At the same time, I honestly cannot put into words how amazing it was to have so many positive, and sometimes quite strange, interactions with parents and kids over the course of those seven weeks. Some of those experiences were so crazy that you wouldn’t even believe me. Just trust me on this one; I have quite some stories to tell from that camp. And while there were both highs and lows, I learned a lot about myself as well as about working with other people. I feel that I have become more proactive, flexible, and patient. One day it would be sunny all day, and then at noon it would start pouring, so we had to spontaneously figure out what activities to do next. Day by day, situation by situation, we had a responsibility to continue the fun for the kids. I guess this is a good transition into the rather poor management of the camp itself. From what I heard from returning counselors, there was really no organization and activities were not thought out very well. Luckily, the kids didn’t notice, but there were times during the day when we, the counselors, literally had nothing to do with the kids. We would have to make up a game or find another activity to do because we weren’t provided with a great schedule or alternative activities. For example, one of the themes of the summer was STEM, and every Wednesday we were supposed to do some science-related arts and crafts. By that I mean we did one arts and crafts project the first week, and the rest of camp there was no activity. It all cycled back to a lack of proactiveness, considering that what we did do instead was go to the playground for three hours and watch the kids tire themselves out until it was time to go home. Another day, one of my campers was stung by a bee and while she was screaming and crying the other campers were crowding around us and jumping around yelling, “Chase, Chase, Chase.” I had to deal with all of the kids as well as write an incident report, call a parent, and take the stinger out of her leg. This was one of the many challenging situations I faced at the camp, but of course, everything worked out in the end. I learned quite a lot and wouldn’t change it for anything. I made a lot of friends, met a lot of great kids, and went to places I’ve never been. For that, I can say it was a good experience. The class of 2021 eased into their sophomore year with a trip to New York City, exploring exhibits in the Museum of Natural History and and seeing the Tony Award-winning “Best Musical,” Dear Evan Hansen. With not a single textbook or laptop in hand, the grade split up onto four buses and headed on a 90-minute ride to the city. 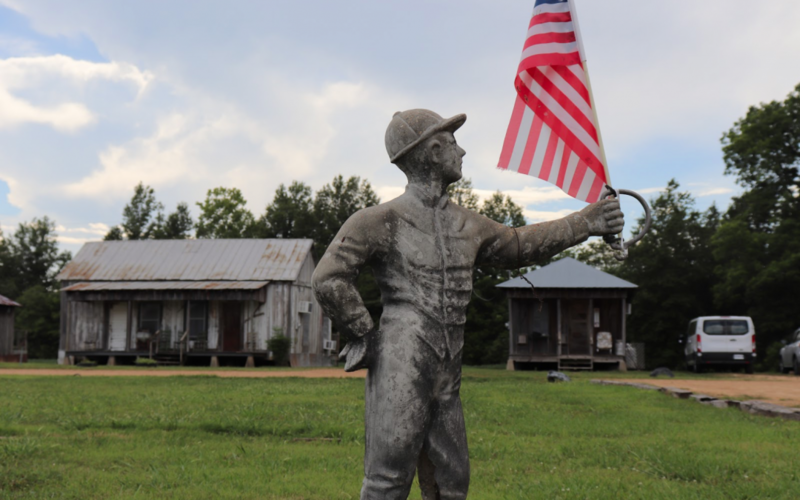 After reaching the museum, they were divided by advisories, perusing the various exhibits at the museum. Unlike previous years, when a scavenger hunt was assigned, the students had the freedom to pick which exhibits they wanted to visit with their advisories. Many of the students appreciated this change; Meghan Durkin (IV) explained, “I enjoyed the museum more than I anticipated because I got to see exhibits that I thought were interesting, as opposed to a plan created by our advisors.” From fossils to dioramas filled with cavemen, the first segment of the trip maintained a good balance of fun and education. After eating lunch in the museum, the students made their way back to the buses and headed to the theater. Despite a slight accidental detour, all 150 sophomores eventually made it to the correct theater, where they watched the 2 o’clock showing of Dear Evan Hansen. As the students crowded up the stairs, many stopped for snacks, waiting anxiously for the musical to begin. The musical begins with showing two teenage boys who struggle with depression and anxiety. Evan, the protagonist of the musical, desperately seeks to step out of the shadows and be noticed. We see Evan’s yearning for true care and appreciation through the passionate performance of his song, “Waving Through a Window.” His mother, juggling school and work, struggles to be there for Evan, and his therapist suggests he write letters to himself to help his self-confidence (hence the name Dear Evan Hansen). The other teenage boy, Connor Murphy, is briefly introduced to the audience before committing suicide. Through a series of unfortunate events, one of Evan’s letters to himself, which discusses his troubling thoughts and anxieties, is with Connor on the day he commits suicide, and is misconstrued as Connor’s last words being addressed to Evan. Stuck in an impossible situation, Evan hopes for everything to blow over, but ends up meeting with Connor’s family almost every day and pretends to have known Connor as a best friend. 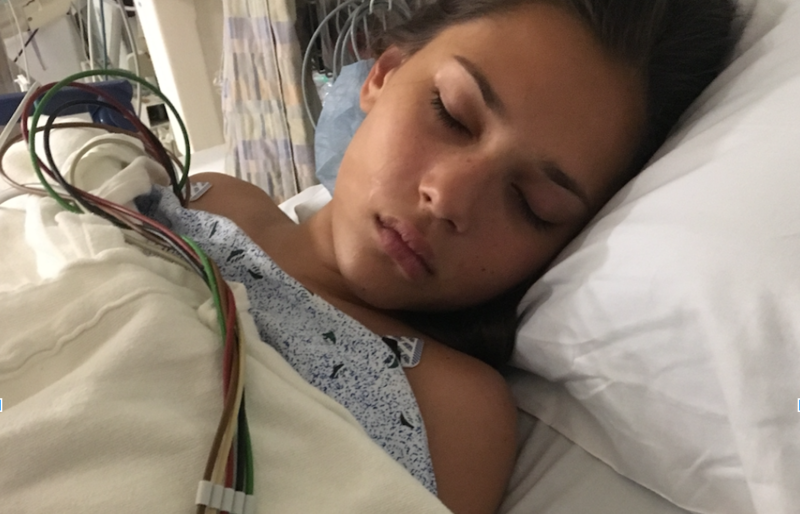 All of Evan’s dreams begin to come true – he lands the girl of his dreams, feels the warmth of a loving, present family, and becomes famous on social media. To know how Evan fares throughout the rest of the musical, you will have to go and see it. 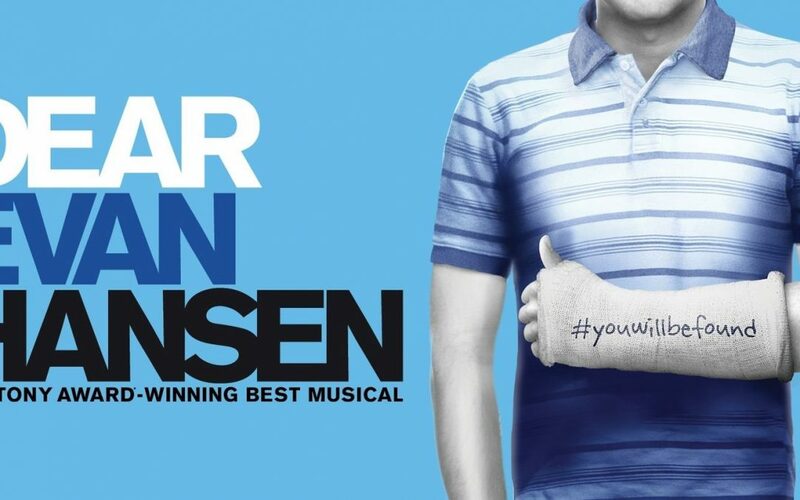 From the actors to the captivating music, it is no wonder that Dear Evan Hansen has won so many awards. After the show, the sophomores headed back to Pingry, their first day of school having come to an end. I’ve always wanted to follow in my uncle’s footsteps and become a doctor. My uncle is an orthopedic surgeon with his own hospital in India and I was always mesmerized by the dozens of patients and doctors swarming the halls. While I knew that I liked and excelled in biology, and it’s always been my childhood dream to study medicine, I didn’t exactly know what being a doctor entailed. This summer, I set out to learn more about the field – I was going to conduct hands-on research and shadow doctors. 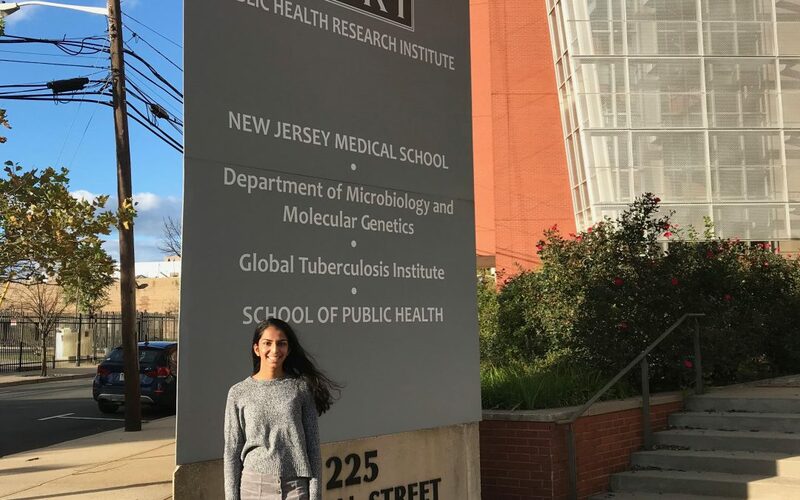 For the first half of the summer, I worked in Dr. Pandey’s lab at Rutgers University researching Hepatitis C. Hepatitis C is a viral infection that causes liver inflammation and is spread through contaminated blood. It is the leading cause for hepatocellular carcinoma, a common form of liver cancer. While vaccines exist for the related diseases Hepatitis A and B, there is no existing vaccine for Hepatitis C. In particular, Dr. Pandey’s lab was looking at the Fuse Binding Protein 1 (FBP1) and its interaction with the p53 tumor suppressor gene, an important gene that regulates the cell cycle. In previous research, Dr. Pandey found that the FBP1 inhibits the p53 gene by binding to some part of its DNA sequence and, when p53 is inhibited, the likelihood that a cancerous tumor forms increases. Based on that research, we were trying to determine the exact portion of the DNA sequence of the p53 gene that FBP1 binds to. Dr. Pandey’s plan to solve this consisted of cutting the DNA sequence into many different pieces and testing each piece to see if it would bind to FBP1, slowly narrowing the DNA sequence to find the exact base pairs that were binding to FBP1. My role in this project was preparing and testing one of these pieces of DNA to see if it would bind to FBP1. This involved cell cultures, transformations, restriction digests, and the polymerase chain reaction (PCR) technique. While I was not able to see the project through to completion, his doctoral candidates will continue the project and Dr. Pandey hopes to publish a paper on this research by November. For the second half of the summer, I shadowed three different types of doctors: a general/vascular surgeon, a dermatologist, and a plastic surgeon. It was really interesting to learn about the three different careers, and from the doctor’s perspective rather than the patient’s. When I shadowed the general/vascular surgeon, I saw generally older patients with varicose veins, hernias, and gallstones. I learned about vein stripping procedures, angioplasties, and colonoscopies – it’s amazing how so many of these procedures can be done robotically! Next, I shadowed a dermatologist for a few days and saw people of all ages with dozens of skin issues ranging from common acne to severe skin cancers. I also was able to watch multiple skin cancer surgeries (I definitely learned the importance of sunscreen!) and got to cut my first stitch. He also showed me cosmetic procedures such as how to inject botox and fillers, along with how a new machine trims fat. Lastly, I shadowed a plastic surgeon who focuses on hand reconstructions. I saw many people who had sliced their hand or gotten it stuck in a door and required surgery. All three doctors were very encouraging and gave me advice on how to choose a field and pursue medicine. Overall, both research and shadowing were great experiences that helped me gain exposure into the world of biology and medicine. It was especially interesting as I got to see both sides of medicine: the scientists doing the early cell research and the doctors treating the diseases based on what the scientists find. While it’s clear becoming a doctor will take many years of studying, learning more about the field and their day-to-day lives has only strengthened my resolve to someday join their profession! Sing and Dance Along in Your Seats to Mamma Mia 2: Here We Go Again! Ever since the movie Mamma Mia was released, fans (including myself) have been anxiously waiting for a sequel. 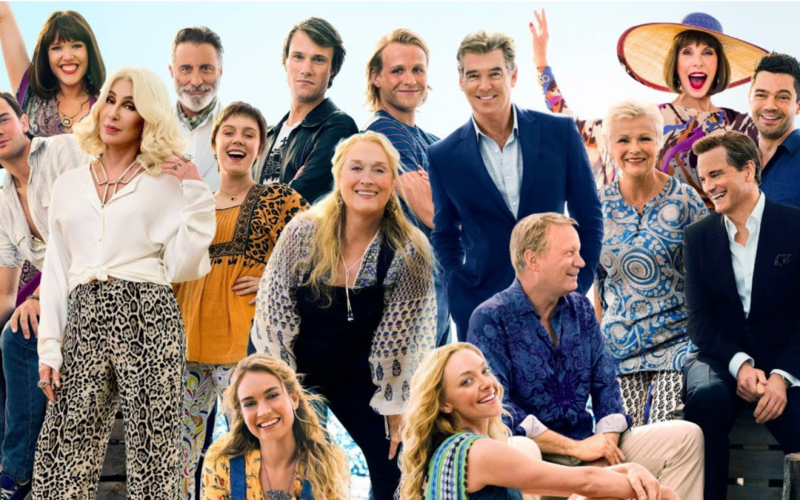 Ten highly-anticipated years later, Mamma Mia 2: Here We Go Again! is finally here! Directed by Ol Parker, the film had my friends and I singing joyously and dancing out of our seats in the movie theater. The movie includes two concurring storylines, one of young Donna Sheridan (played by Lily James) and the other of her daughter Sophie Sheridan (Amanda Seyfreid) in current times. Circa late 1970s, young Donna has just graduated from university and is eager for adventure. The story details how she meets young Bill (Josh Dylan), Harry (Hugh Skinner), and Sam (Jeremy Irvine) trekking through Europe and ultimately makes her way to the Greek island of Kalokairi. In present day, Sophie grapples with her mother’s (Meryl Streep) recent death, the responsibility of reopening the hotel her mother started, relationship troubles with her husband Sky (Dominic Cooper), and an impending storm potentially preventing her two fathers, Harry (Colin Firth) and Bill (Stellan Skarsgard), from attending the reopening. No doubt, the best part of the film is the musical numbers. Covers of songs from the first movie are beautifully sung with their own twists while still respecting the original versions. Classics such as “Dancing Queen,” “Mamma Mia,” and, most notably, “Waterloo” all come to life again under the new direction. In the first version, the ABBA tune “Waterloo” was played during the closing credits as the cast danced and sang along. In the sequel, the song is revised in a scene that takes place in a local Parisian cafe with young Donna and Harry. The song is performed in an elaborate fashion, with berets, baguettes, cartwheeling waiters, and French Revolution-esque costumes stealing the show. The corniness of the new “Waterloo” adds an amusing, engaging charm the older version did not possess. While acknowledging the musical foundation of the first film, Mamma Mia 2 is able to create new songs that fit seamlessly in the plot and are remarkably catchy. When young Donna graduates from college, she performs “When I Kissed the Teacher,” a song that represents the provocative, audacious, and spunky side of Donna’s character to which we are just being introduced. Lily James superbly embodies young Donna’s free spirit throughout her quality vocal performances. To offer a point of criticism, although I respect Ol Parker’s decision to take on the massive plot, the constant back and forth between time periods is confusing to follow at times. With that being said, however, what I admire most about Mamma Mia 2 is its goal to not attempt to recreate the plot and success of the first movie. For example, most people disagree with the inclusion of Meryl Streep-as-Donna’s death and argue that the exclusion of the actress hurts the movie. But after viewing the film, I conclude that it was a shrewd decision. Even though it was risky to remove an icon like Meryl Streep, the entire movie pays homage to her; the retelling and glorification of Donna’s life story is the most prominent and sentimental element of the whole movie. The amazing collaboration of the new and old casts, catchy music, and a complex plot with twists and turns throughout make Mamma Mia 2 a hit. If you are ever in the mood to dance and sing along to some classic, uplifting tunes, I strongly recommend seeing Mamma Mia 2 as soon as possible. Pingry’s headmaster, Mr. Nathaniel Conard, announced his resignation this past June after a 13-year tenure. 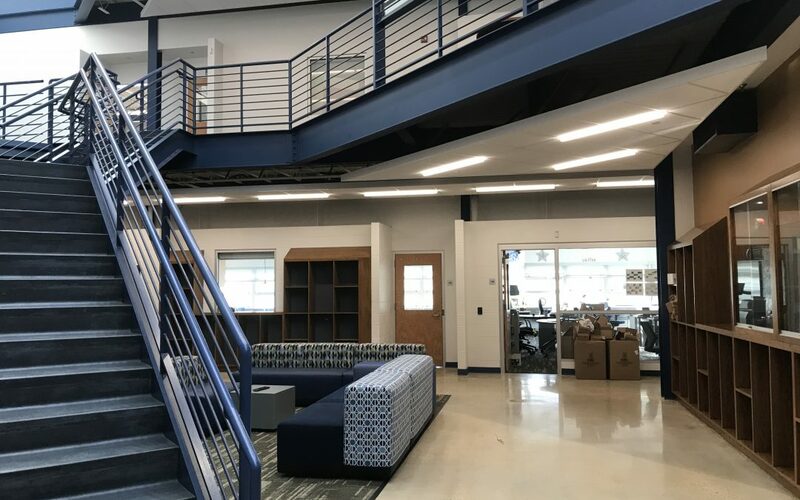 Headmaster Conard has made leaps and bounds towards improving our school and the quality of life for Pingry students, one of his greatest achievements being the extremely successful Blueprint for the Future campaign, which raised a record 75 million dollars. With his departure, Pingry has launched a full-scale search for its next headmaster. The search is currently spearheaded by a committee comprised of Board of Trustees members Stuart Lederman, Katharine Wyman Procter, Arlyn Davich, Jeffrey Edwards, Denise Grant, Dev Ittycheria, and Steven Lipper. Mr. Lederman and Mrs. Procter are co-chairing this committee. The firm will factor in many different variables when looking for a new headmaster, including the results from the survey that was sent out to all students. This survey asked students what qualities they expected from the next headmaster, as well as what skills they have developed the most while at Pingry and what resources they have utilized the most. The firm also took private meetings with members of the Honor Board and the senior Student Government to have conversations about what they would like to see change in the school as student leaders. Naturally, the firm has many connections and contacts with potential candidates at different schools. They are in contact with people whom they believe would be viable options for the job. Spencer Stuart has also put together a position description where candidates can reach out to the firm and apply themselves, rather than being contacted by the firm. The firm is currently still compiling its list; once it is complete, they will present the Search Committee with their final portfolio of potential candidates whom the school will then interview. 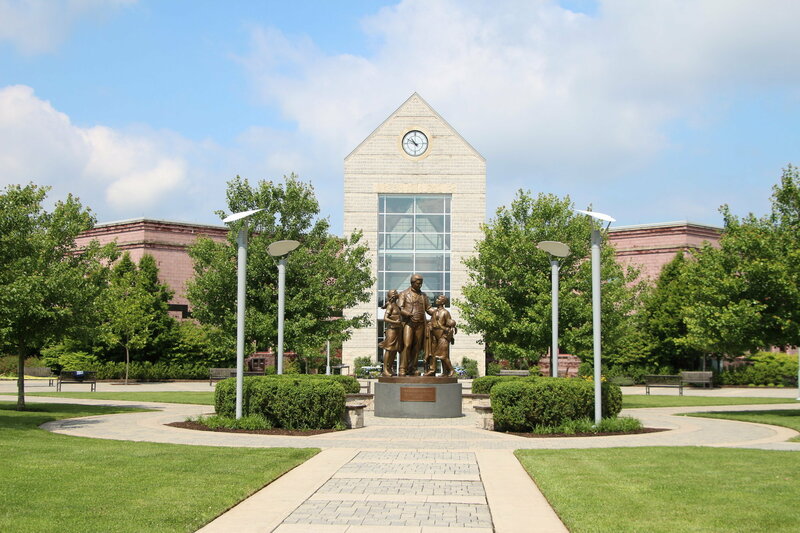 When asked if any candidates at Pingry were being considered for the position, Dean Chatterji explains, “Spencer Stuart does what is called a ‘closed search’, meaning they do not publicize the names of the candidates that are in the pool.” With that said, candidates from within Pingry is a possibility. 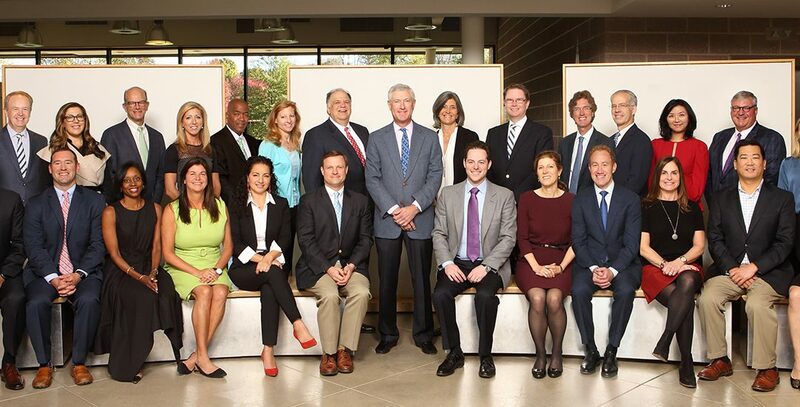 After rounds of interviews, the entire Board of Trustees will make the final decision, advised by the Search Committee. This arduous process will be complete by the end of the school year. At that point, the final choice for the Head of School will be publicized to the student body, faculty, and staff.